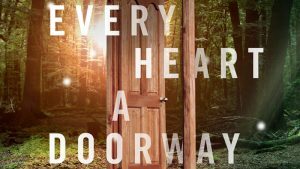 Every Heart a Doorway by Seanan McGuire is the 2017 Hugo Award Winner for best Novella. Kyle Willoughby and Claire White are happy to take another recommendation from the Hugo’s and plunge into the first book of the Wayward Children series. Claire begins by exploring the genre of “portal fantasy” and describes both its ancient origins as well the many modern works that have followed Alice’s Adventures in Wonderland by Lewis Carroll. Kyle takes a look at the prolific career of the author, Seanan McGuire, and explains the process by which great works of fantasy and science fiction win Hugos. Our hosts conclude with their thoughts on the book, the appeal of portal fantasy, and the worlds they wish to escape too.